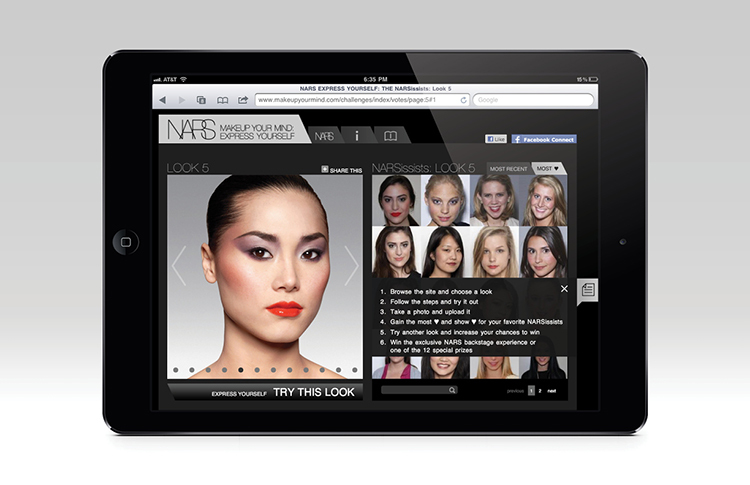 while not an ipad app, the NARS website (www.makeupyourmind.com) coding was done in a manner which allowed users to interact, view, vote and comment on the site using an ipad or smart device. 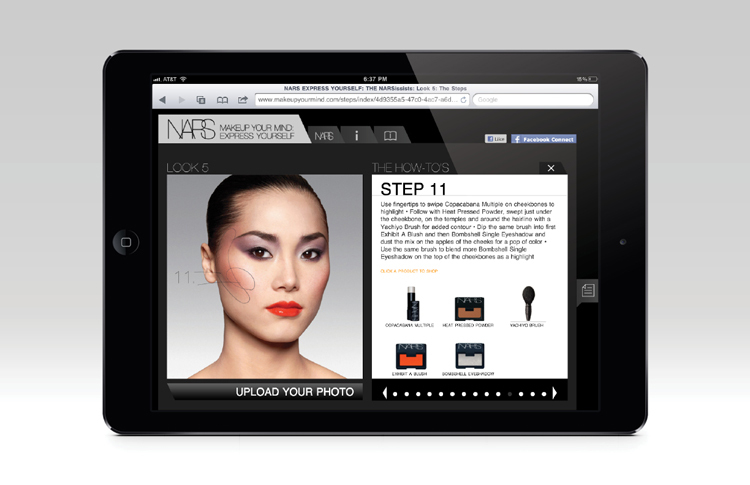 the website, designed and produced by ceft and company new york, was the answer to NARS’s desire to broaden its audience and create a presence in the social media world. the website, which marks the shiseido-owned company’s largest digital initiative to date, contains 12 step-by-step tutorials adapted from the pages of the book by francois NARS, “makeup your mind: express yourself”. to encourage visitors to try out the products and makeovers, NARS is offering 13 prizes to the women who upload photos of their makeovers to the site. the look with the most votes by august 31 will win a backstage pass to new york fashion week in february 2012, travel accommodations included. the contest not only promises to increase engagement on the site, but it also creates a rich resource of user-generated imagery. it gives visitors an idea of how featured makeovers will appear when applied by less expert hands on a variety of complexions. view all work related to this project.